Sleep plays a vital role in good health and well-being throughout life. 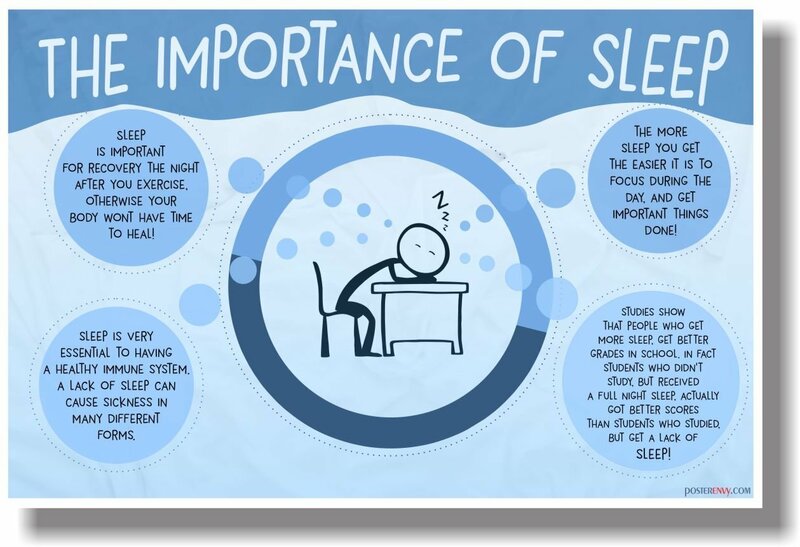 Sufficient quality sleep helps to protect your mental and physical health. The damaging effect from sleep deprivation can occur in an instant (such as a car crash), or it can raise your risk for some chronic health problems over time. It can affect how well you think, react, work, learn, and get along with others. The amount of sleep you need each day varies over the course of your life. The chart below shows the general recommendations for different age groups. This table is recommended by American Academy of Sleep Medicine (AASM) and American Academy of Pediatrics (AAP). Be aware that your inability to fall asleep can be a rebound effect from what you ate or drank during the hours prior to bedtime. High sugar, alcohol, highly spiced foods and of course, caffeinated drinks are often the culprits. Deficient in chromium, vanadium, manganese and other nutrients can lead to hypoglycemic rebound a few hours into your sleep, when you abruptly wake-up and are unable to drift back to sleep. We produce serotonin from the amino acid tryptophan, and serotonin is converted into melatonin to induce sleep. For over a quarter of a century, studies have proven this amino produces a great sleep in many with no side effects. In fact, it can result in better mental clarity during the day. Furthermore, it improves daytime depression, PMS, fibromyalgia, and anxiety as well as carbohydrate cravings, binge-eating and even alcohol recovery. Now from a functional medicine position it is important to know that a simple B6 or zinc deficiency can contribute to insomnia. A common vitamin B6 deficiency can keep you awake all night, or low zinc causing impaired conversion of B6, which is needed to make tryptophan work. If you have an elevated organic acid, kynurenate acid, for example, and a low tryptophan, the correction of B6 may be all you need. Plasticizers in our bodies lower zinc which is needed in the enzyme to convert B6 to its active form so it can then transform tryptophan to a serotonin. Balancing nutritional biochemistry is one of the essential keys to resolve insomnia, together with good sleep hygiene, and implementing relaxation techniques to reduce stress level. Serotonin is an important player for sleep and moods, and the majority (up to 95%) of serotonin is made in the gut rather than in the brain. To solve your insomnia problem, you also need to ensure you have optimal gut health. If you experience gas, bloating, alternating diarrhea or constipation or other gut issues, you must investigate and correct your gut to promote the production of serotonin. Insomnia could be resolved by understanding the cause and making better choices in diet, lifestyle, supplementations, and sleep hygiene etc. The secret is to find a doctor who understands the probable underlying causes of insomnia and knows how to do the proper testing to discover what needs to be fixed. The information on this website is not intended to replace a one-on-one relationship with a qualified health care professional and is not intended as medical advice. It is intended as a sharing of knowledge and information from the research and clinical experiences. You are encouraged to make your own health care decisions based upon your research and in partnership with a qualified health care professional.